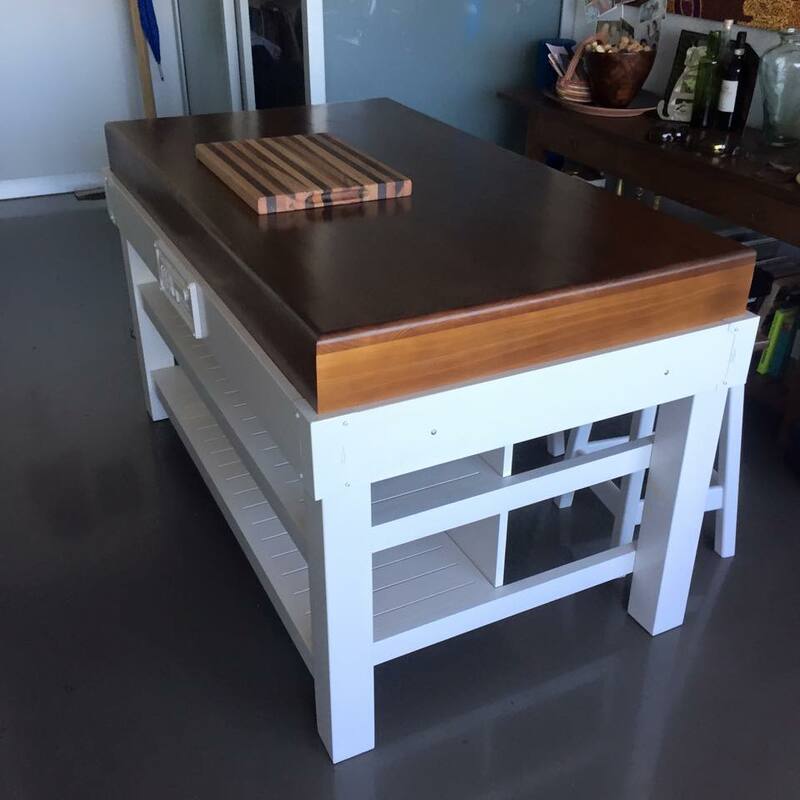 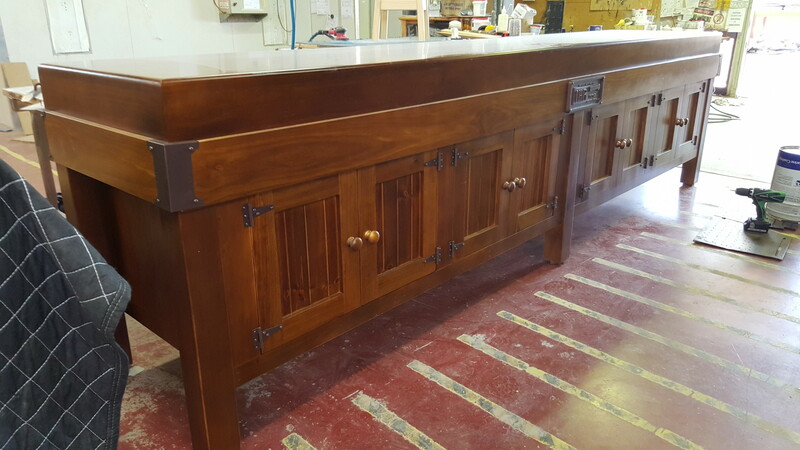 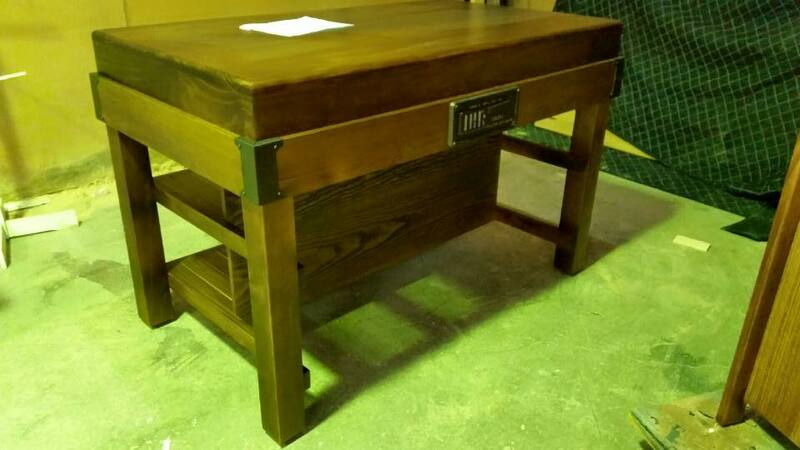 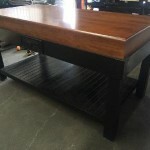 Having a custom made butcher block kitchen island is a great way to install a kitchen preparation bench or table in your home or restaurant so you have an efficient and space saving work area. 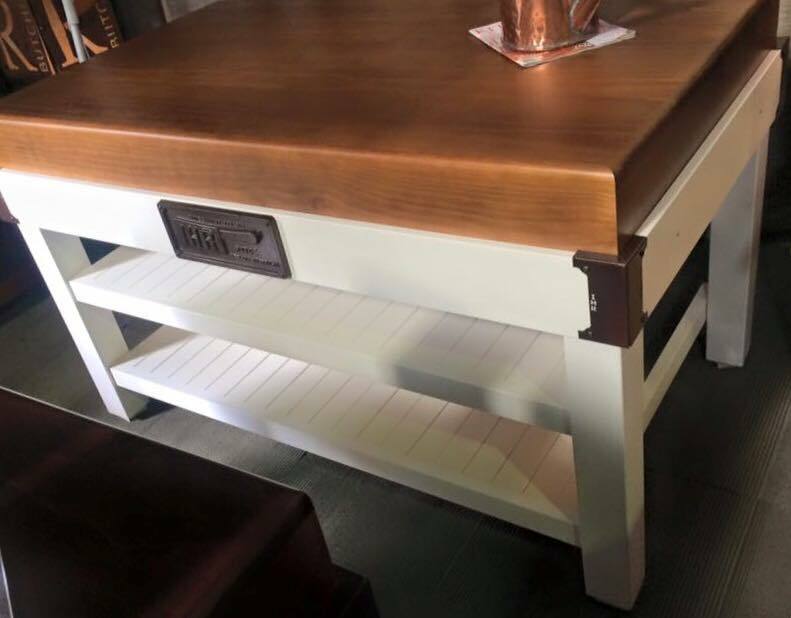 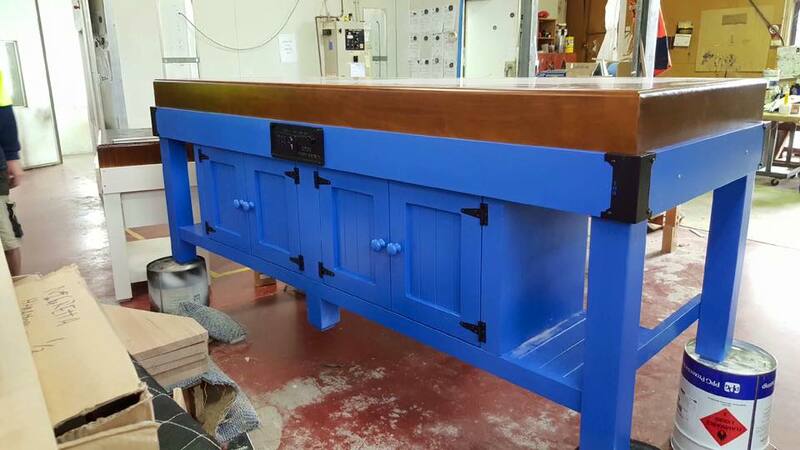 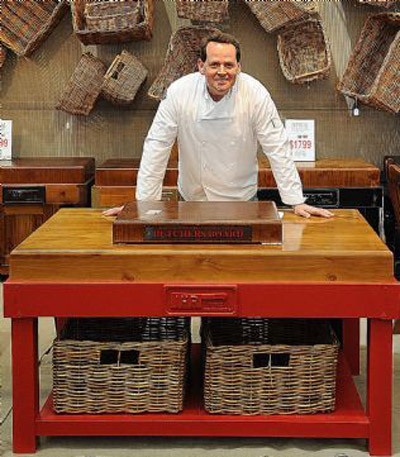 At IHR our handcrafted butchers block islands are the perfect solution to providing a practical and great looking addition to your kitchen area. 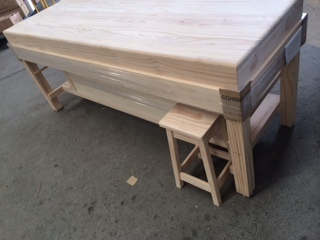 All of our butcher block tables come in a standard 1600mm wide, 900mm deep and 900mm high but this can be altered for your requirements. 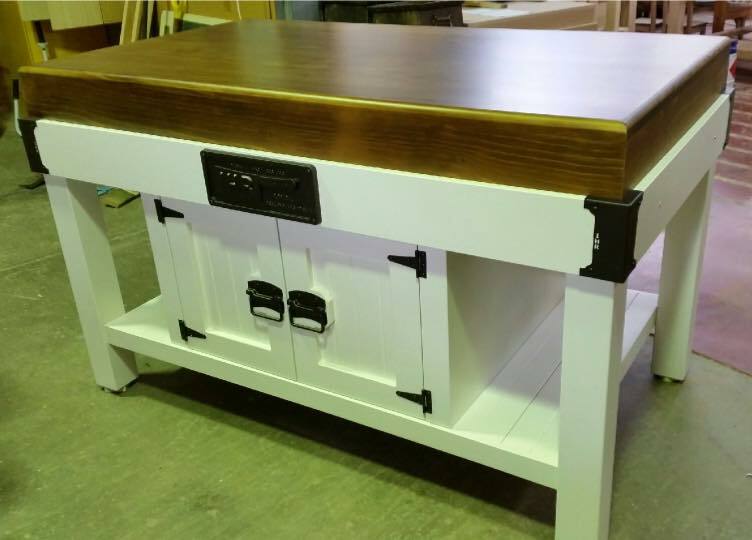 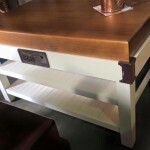 Our butchers block kitchen islands and butchers block tables are side grain constructed and available in our standard colours of black, white, red and walnut so you are sure to find a colour, and a style, to compliment your kitchen. 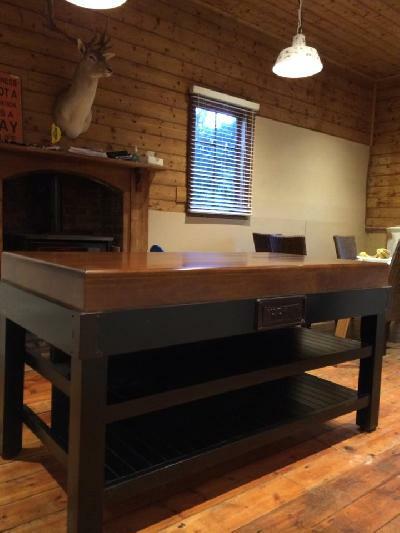 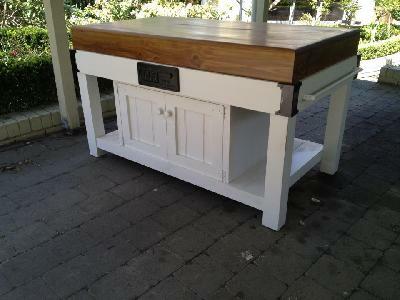 Half cupboard or butchers block table. 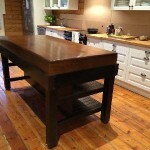 Talk to us about our butcher block kitchen table and island range. 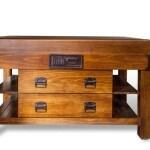 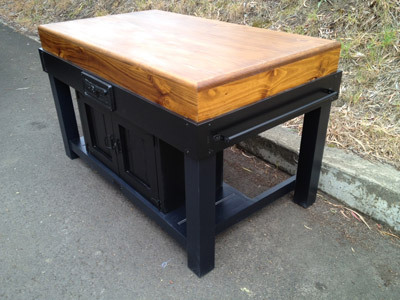 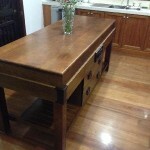 See our butchers block delivery prices, fill out our quote request form or order online. 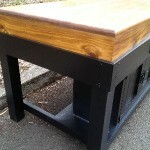 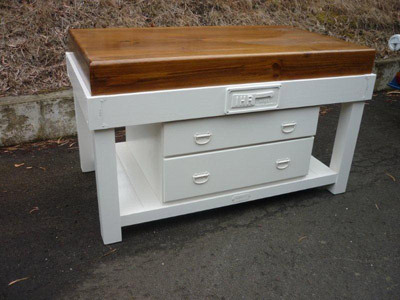 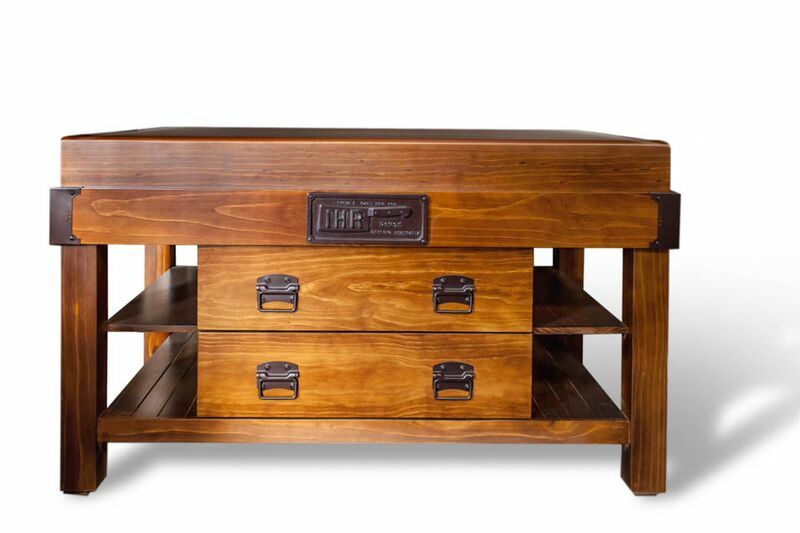 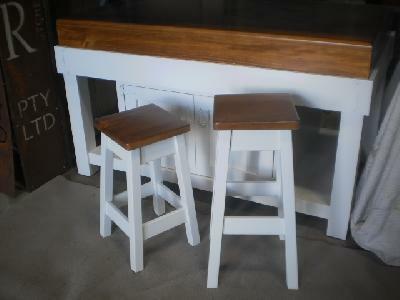 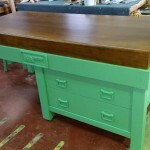 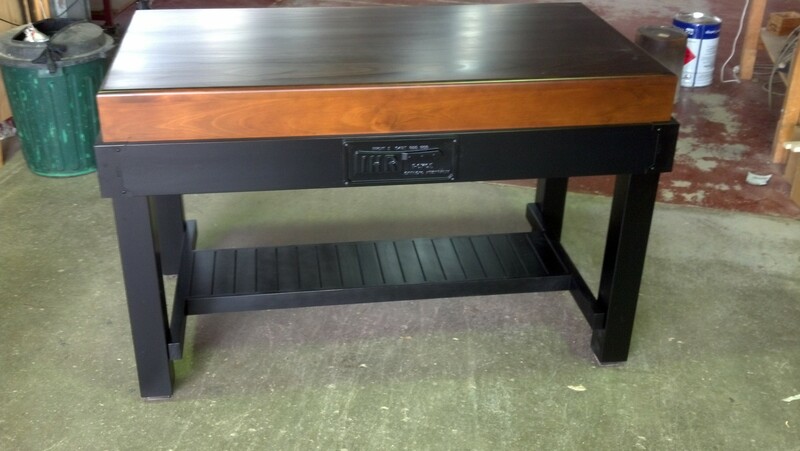 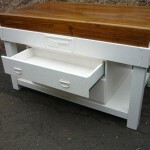 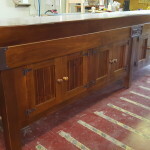 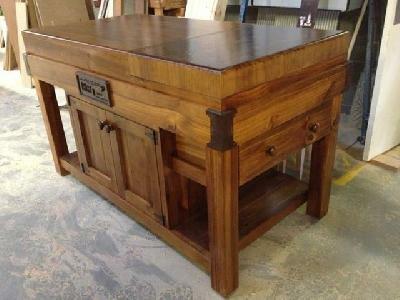 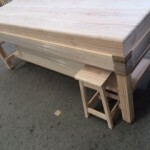 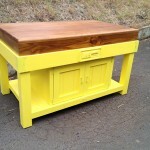 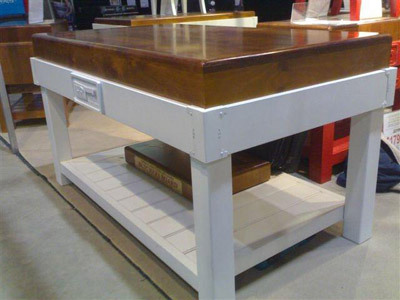 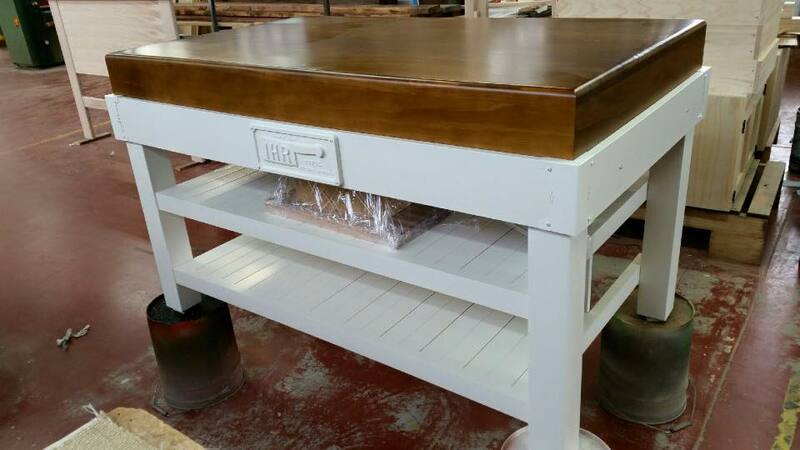 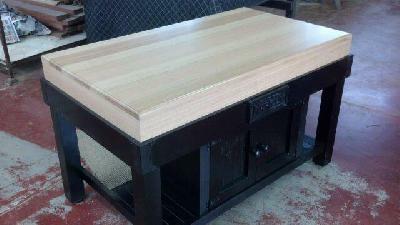 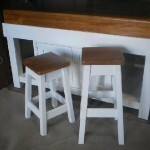 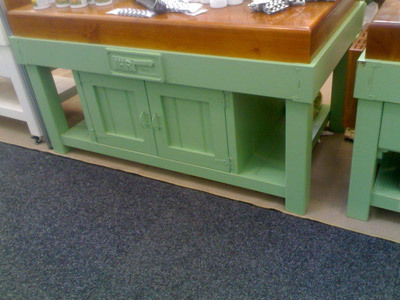 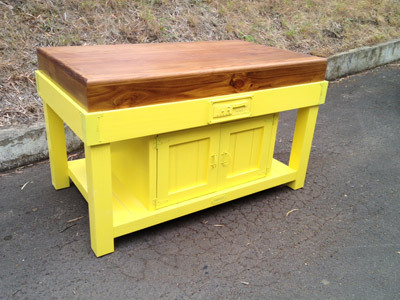 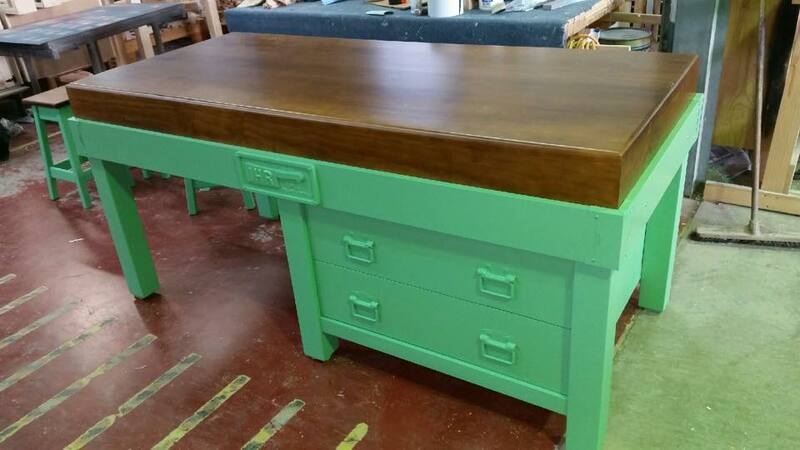 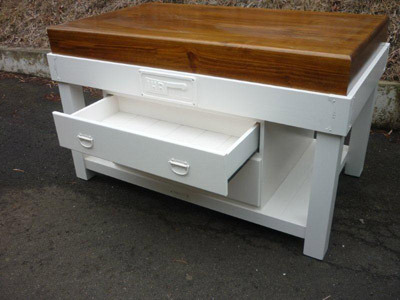 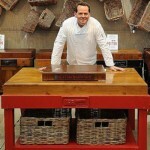 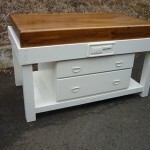 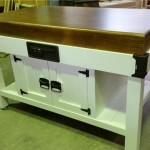 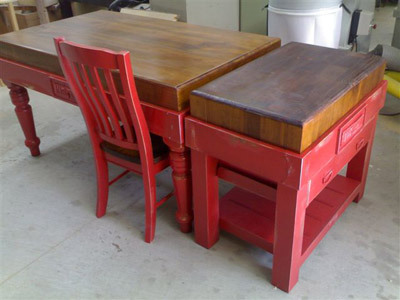 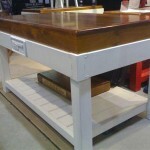 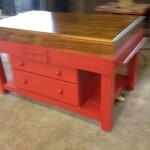 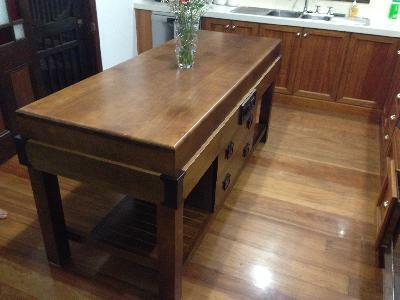 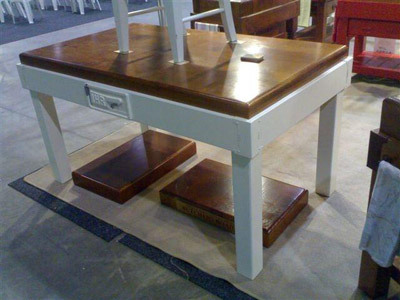 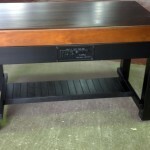 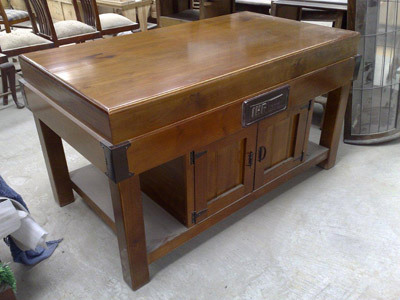 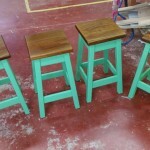 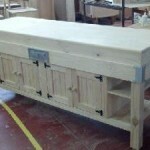 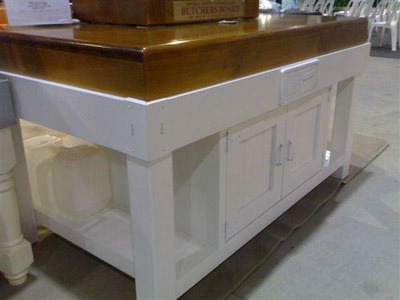 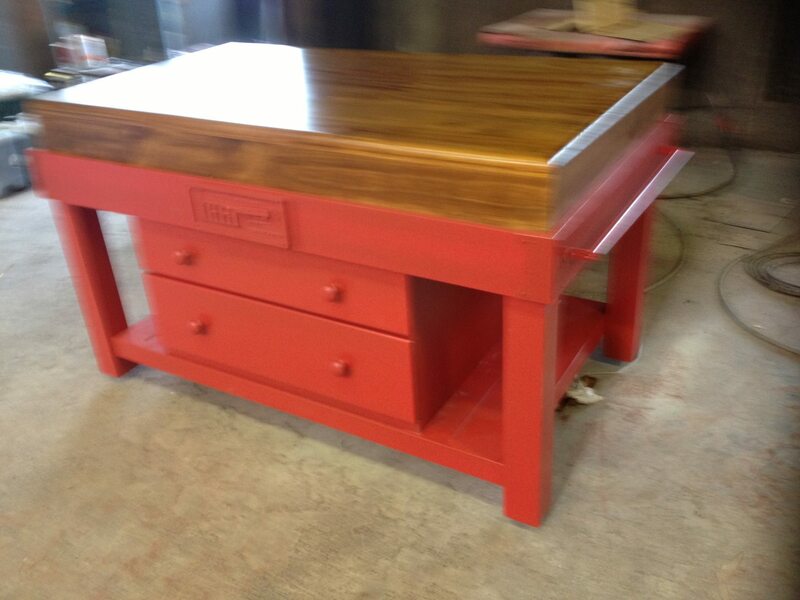 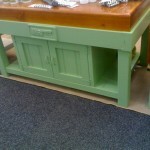 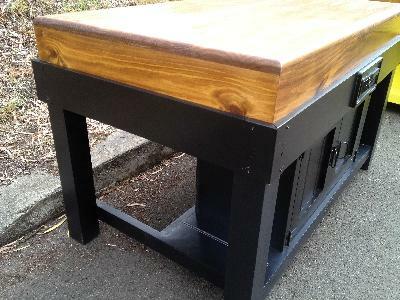 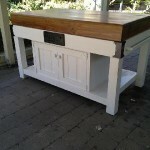 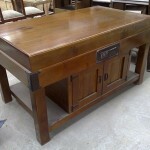 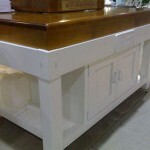 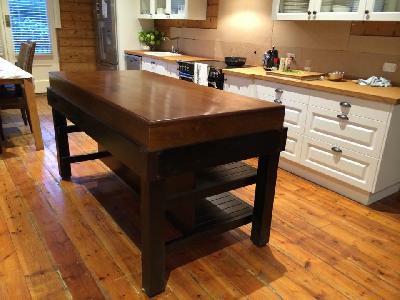 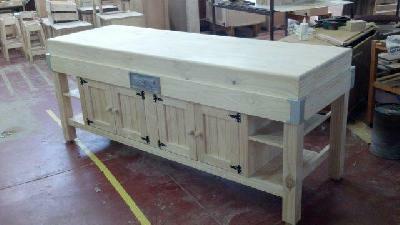 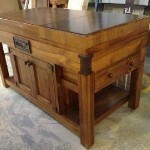 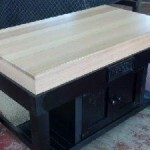 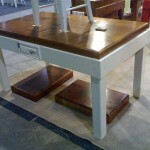 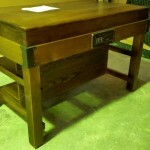 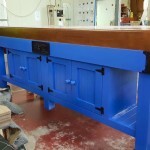 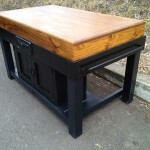 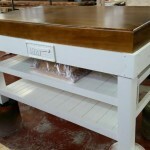 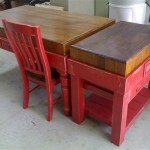 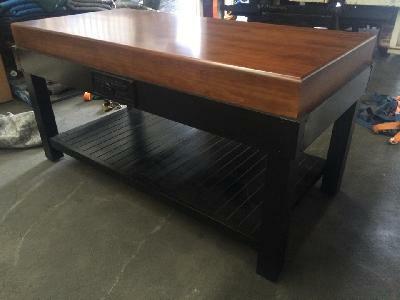 We also provide butchers blocks, butcher block table tops, butchers block cutting boards and butchers block accessories. 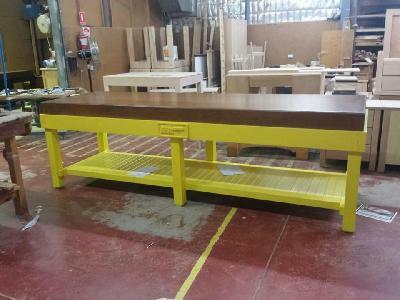 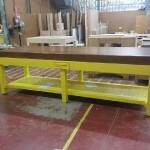 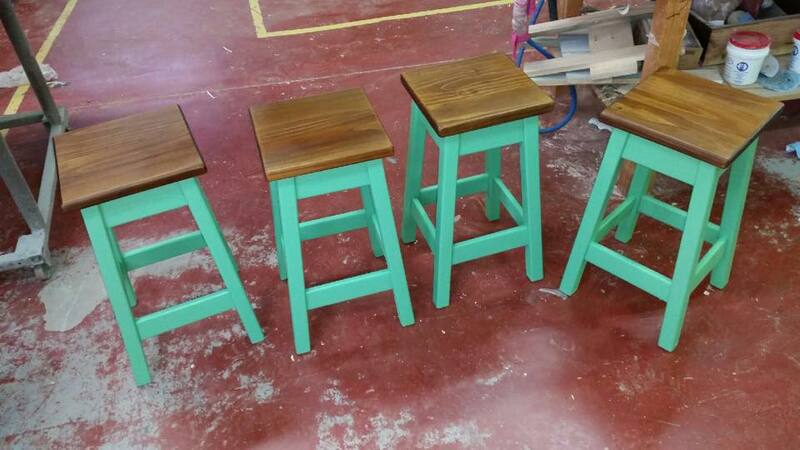 Our custom-made benches and tables are similar to our standard products, but can be altered in length, width and colour. 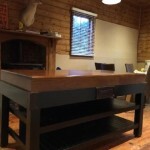 If you have something else in mind we can certainly discuss.